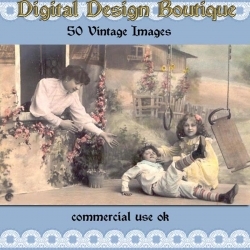 Digital Scrap - Vintage There are 45 products. 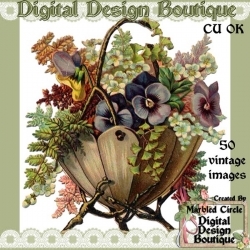 A set of 50 JPG vintage clipart images in a variety of sizes for your creative needs. 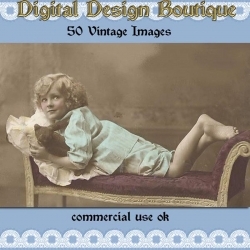 If you enjoy vintage as much as we do you will surely get pleasure from these images. 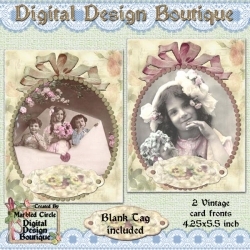 Perfect for greeting cards, tags, printables, collages and more. 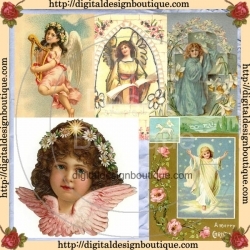 Printable Heaven is a licensed reseller for Digital Design Boutique. 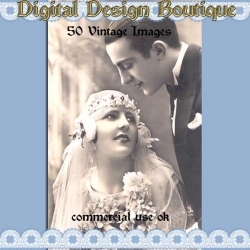 A set of 25 high quality JPG vintage images in for your creative needs. 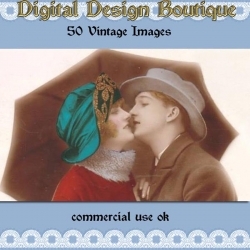 If you enjoy vintage as much as we do you will surely get pleasure from these images. You actually get at least 30 high quality images to give you a bonus and variety in case you've already got any of these! 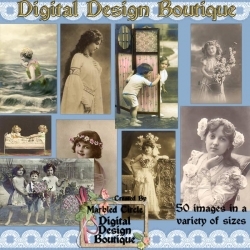 Printable Heaven is a licensed reseller for Digital Design Boutique. 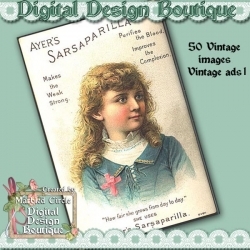 8 high quality 3.5" x 5" card fronts in JPG format. Perfect for creating quick cards. 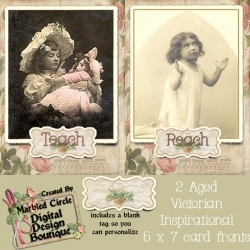 They make card making fast, easy & fun! Customize to suit your needs. 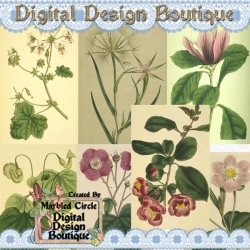 Printable Heaven is a licensed reseller for Digital Design Boutique. 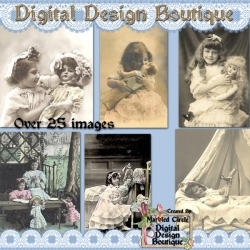 A set of 8 vintage Victorian 3600 x 3600 300dpi JPG papers. 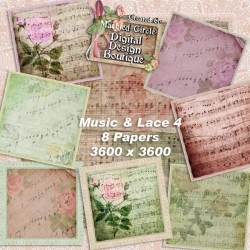 Vintage Music and lace. What more could you want? 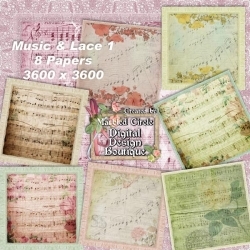 Musical designs overlay these Vintage Victorian papers and they are edged in lace. 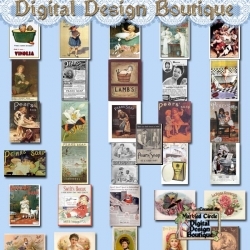 Printable Heaven is a licensed reseller for Digital Design Boutique. 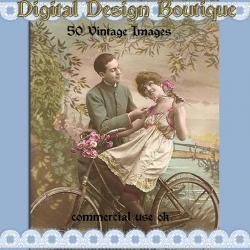 A wonderful set of 16 3"x3" vintage Victorian tags in 300dpi PNG format. 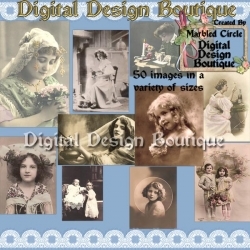 Printable Heaven is a licensed reseller for Digital Design Boutique. 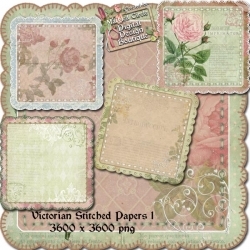 A set of 5 beautiful Vintage Victorian papers. Each paper is a 3600x3600 300dpi PNG image. 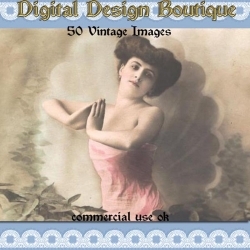 Printable Heaven is a licensed reseller for Digital Design Boutique. 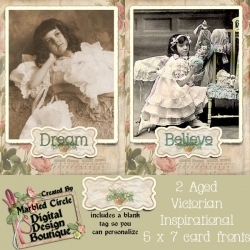 Two Victorian 4.25x5.5 note card fronts. 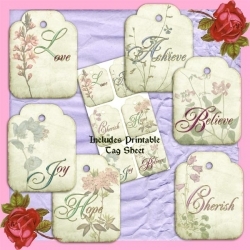 Includes blank tags, one with pink beads and one with green beads so you can personalize & add dimension. 300dpi JPEG images. 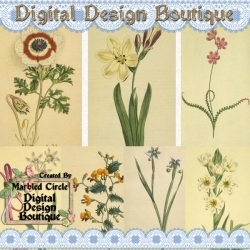 Printable Heaven is a licensed reseller for Digital Design Boutique. 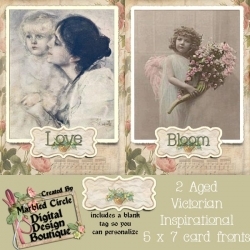 Nine Victorian Inspirational Tags in JPEG format for use with the Aged Victorian Inspiration Cards or on their own. 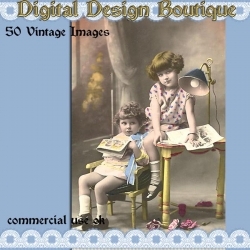 Printable Heaven is a licensed reseller for Digital Design Boutique. 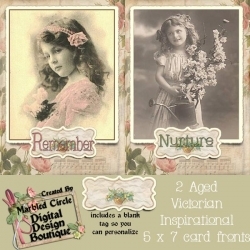 Two aged Victorian 5x7 card fronts. Includes a blank tag so you can personalize the cards. 300dpi JPEG images. You can also purchase pre-printed tags. 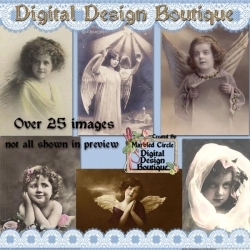 Printable Heaven is a licensed reseller for Digital Design Boutique. 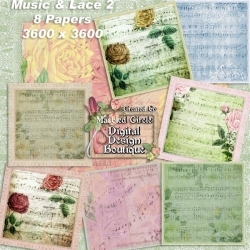 A set of 6 beautiful Shabby Chic patchwork papers. Each paper is a 3600x3600 300dpi JPEG image. 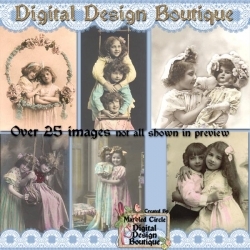 Printable Heaven is a licensed reseller for Digital Design Boutique. Set of 13 greyscale papers that you can colourise to suit your needs. 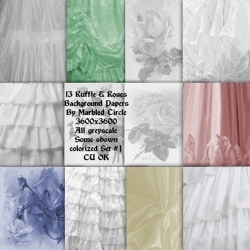 They are a combination of beautiful and delicate ruffles and roses. 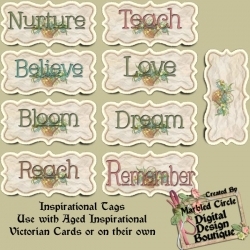 Colourise the images to suit your own individual projects. 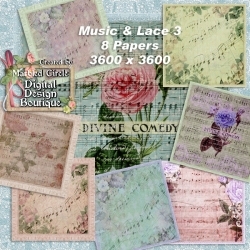 Each paper is a 3600x3600 300dpi JPEG image. 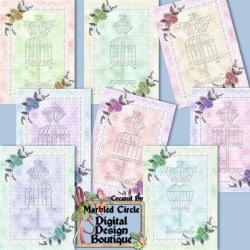 Printable Heaven is a licensed reseller for Digital Design Boutique. 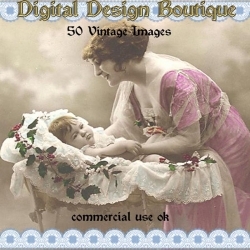 Set of 6 large tags in transparent PNG format along with a sheet of all the tags in JPG format. 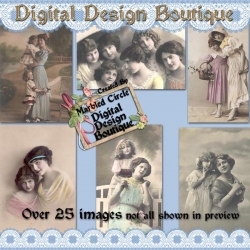 Printable Heaven is a licensed reseller for Digital Design Boutique. 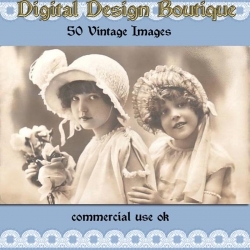 A set of 25 high quality JPG vintage images for your creative needs. 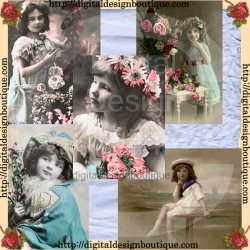 If you enjoy vintage as much as we do you will surely get pleasure from these images. You actually get at least 30 high quality images to give you a bonus and variety in case you've already got any of these! 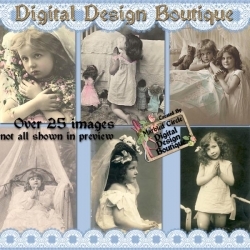 Printable Heaven is a licensed reseller for Digital Design Boutique. 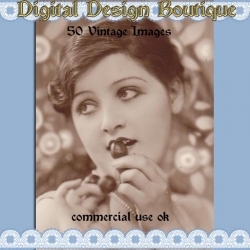 A set of 50 vintage JPG images in a variety of sizes for your creative needs. 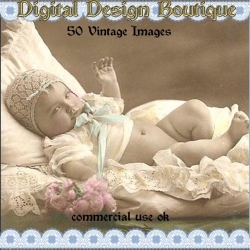 If you enjoy vintage as much as we do you will surely get pleasure from these images. 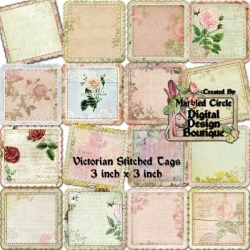 Perfect for greeting cards, tags, printables, collages and more. 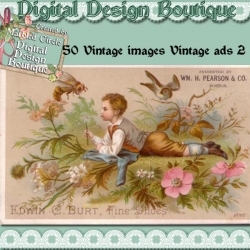 A set of 50 high quality vintage Victorian adverts in JPG format for your creative needs. 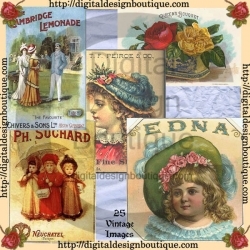 If you enjoy vintage as much as we do you will surely get pleasure from these images. 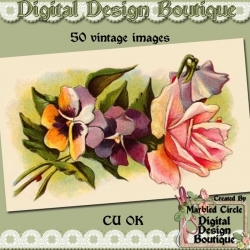 Perfect for greeting cards, tags, printables, collages and more. 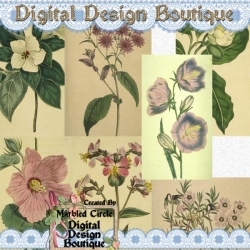 Printable Heaven is a licensed reseller for Digital Design Boutique.